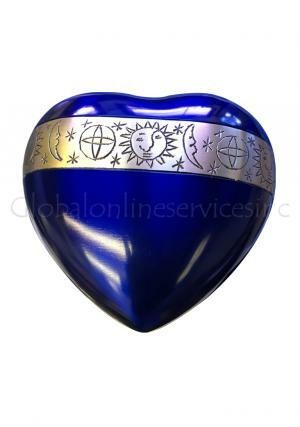 The heart urn is designed with rich blue called as cambridge blue and finished with softness on it. 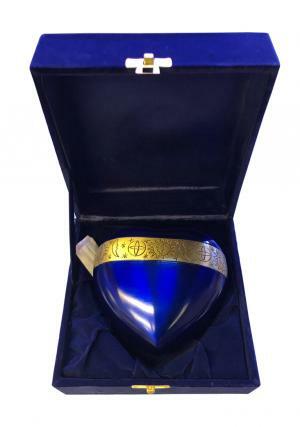 The heart keepsake urn is banded with gold on the top with designed sky look from a day. 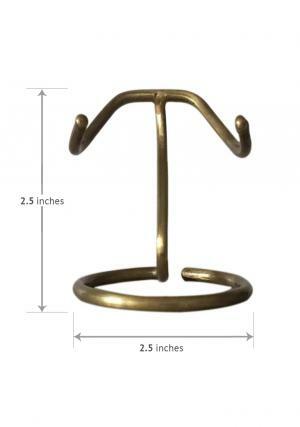 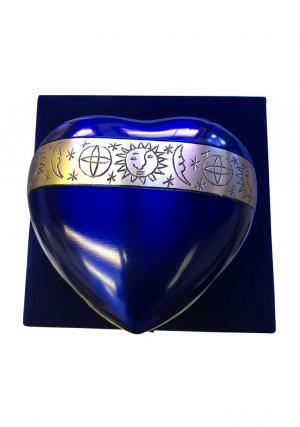 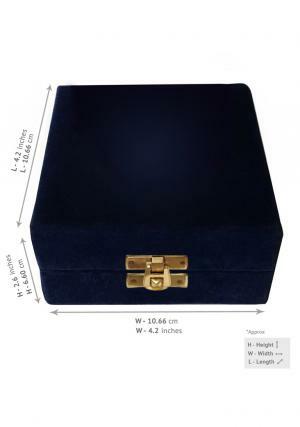 The Cambridge Blue Heart Keepsake Urn with stand gives you a great look of the surfaceand the stand is specially built to make the heart urn comfortable, with safety. 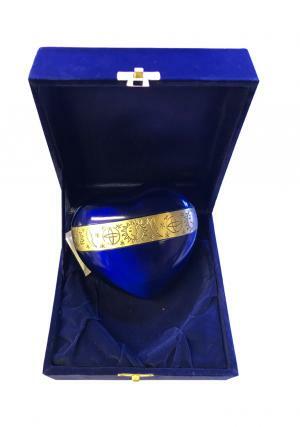 The heart urn has the lovable nature to keep ashes of the cremated by open/close behind with capacity of upto 4 cubic inches.